Who Was The President of Pakistan In 1958? Home / Pak Info / Who Was The President of Pakistan n 1958? President Formation: The President of Pakistan is an official personality who is performing the ceremonial activities within the state of Pakistan that represent the unity of Republic. According to the constitution of Pakistan, President holds legal title and is a civilian commander in chief of the Pakistan Armed Forces Who Was The President of Pakistan In 1958?. As the tenure circle of a president is five years in Pakistan afterward the members of current parliamentarians elect the new president. There are different elements lyes among the completion of one’s tenure or a president would be dismissed through the judicial orders. There are different conflicts are encircling in the dismissal or electing a president in Pakistan but in 1958 the situation was different which I have discussed below. In the year 1958, Ayub Khan was the one who took hold over the presidentship of Pakistan and takes hold on it. 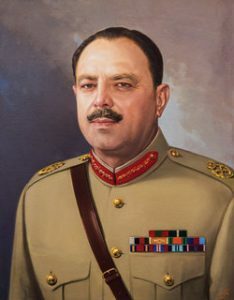 Ayub Khan made the start of the career as being the army officer in the British Army. He had served the army in the fronts. At the time of partition, he decided to serve the nation of Pakistan. This made him come about to be the first C-in-C of Pakistan’s Army all along being the first CMLA as he was appointed by Sikander Mirza. He was also taken to be the very first who got elected to serve the public office of the presidency. There were so many of the historians and political analysts who do think that he was accountable for the dismemberment of East Pakistan. After a long illness, he died on April 19, 1974. Ayub Khan was born on May 14, 1907. He was born and raised up in Rihana near the area of the Haripur district. If we talk about his family background when he was the part of Tareen tribe of Pakhtoon ethnicity. His father was a Risaldar-Major in the British Army. He took the high education by getting enrolled in the Aligarh Muslim University but he left the studies in the middle of the way to get himself to be the part of Royal Military Academy Sandhurst. On his excellent outcome performance in the Sandhurst Academy, he was inducted as a commissioned officer in the year 1928 in the category of the British India army. In 1951 he turned out to be the first native C-in-C of Pakistan. In the year 1954, he was given the extra charge of the Ministry of Defense. He served with this charge from the year 1954 till the year 1955. He eventually dismissed the president on 27th October 1958 and then he became the CMLA of Pakistan. He lifted the martial law in the year 1962 and therefore a new constitution was made the part of Pakistan. One of the turning points in his whole reign has been the Indo-Pak War of the year 1965. He died in the year 1974. His services in the political field of Pakistan will always be remembered in the Golden world in the history pages of Pakistan. He was a great leader and there is no doubt about this fact.